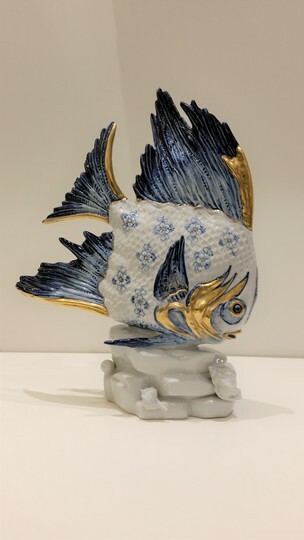 "Societa de Porcellane Artistiche di Firenze" porcelain, hand made, fish. Marked. Leave your contact so that we send you the quotation for art work Italian hand made porcelain Fish - Peixe em porcelana italiana.